Meet Jon, one of our engineers here at Mr. Gasket. He is the focus of our first installment of What We Drive, our series of stories about the cars of Mr. Gasket employees. Jon got into cars when he was about 13 years old. His first car was a 1986 Ford Tempo that he worked on, but never got it to the road. His college car was a 1989 Chevy S10, which he beefed up by replacing the original 4 cylinder with a V8. Jon had been looking for a '91 Camaro for some time, finding it difficult to locate one that wasn't a rust bucket. 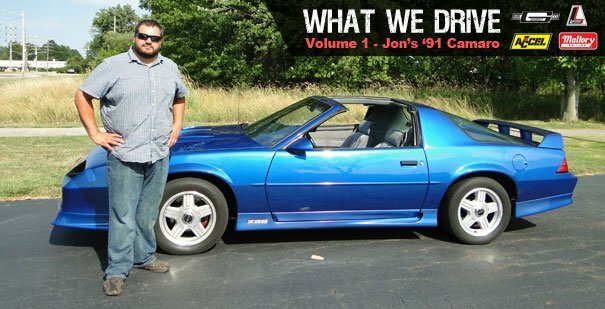 In 2000, his search paid off and he purchased a nearly bone stock '91 Camaro with only about 57,000 miles. 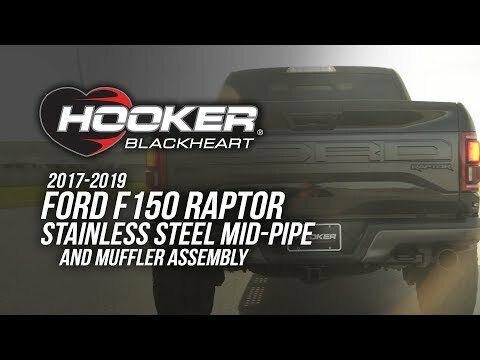 The only performance upgrade on the car was a Flowmaster exhaust. Originally, the car made about 230 hp and 300 ft. lbs of torque. The LB9 305 small block Chevy engine that was stock in Jon's Camaro was removed to make way for a 355 small block. He hand ported aluminum Corvette heads and installed a Holley Stealth Ram intake with Mr. Gasket Ultra-Seal intake gaskets. Jon also made sure his engine was sealed for higher horsepower with Multi-Layered Steel head gaskets from Mr. Gasket. He made the engine even tougher with a forged ZZ4 crank, SRP forged pistons and a Comp camshaft. Beefing up the drivetrain was also a priority so Jon installed a 4L80E transmission (built to handle 1000hp), Transgo shift kit, Lakewood transmission mount, SPOHN driveshaft, Detroit locker and Lakewood U-joints. With twin 60mm Garret Turbos and his ACCEL 1000cfm throttle body and ACCEL Gen7 engine management system, Jon needed a hefty fuel delivery. 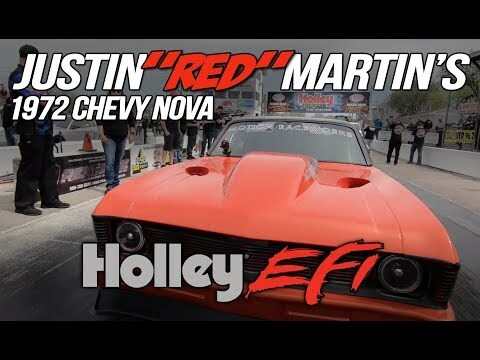 His 5160FI fuel pump (now under Mallory) along with Mallory filters and high performance regulator provides the elite system needed for such a setup. For ignition, Jon used an ACCEL 300+ box with an ACCEL ultra coil and Extreme 9000 ceramic boot wires. Now that Jon's Camaro had been beefed up, he needed to harness the power with Lakewood 90/10 drag struts, panhard bar and control arms. He also needed better braking, so he installed 2002 SS Camaro brakes on all 4 corners. All said and done, Jon's beefed up '91 Camaro now makes 700 hp and 800 ft. lbs of torque. That's quite the improvement from stock. See More Pictures and Look Under the Hood Here! Learn about the wide variety of Mr. Gasket exhaust gasket materials. Why Layers? Why Aluminum Gaskets? Here's Why. 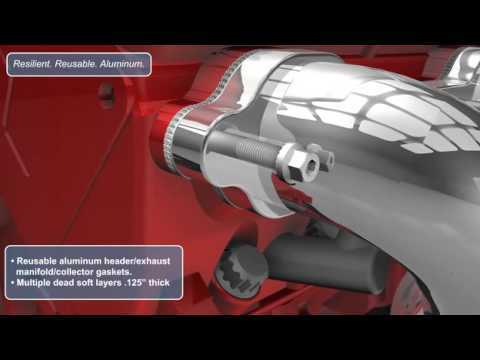 Find out the benefits of Mr. Gasket Aluminum Layered Exhaust Gaskets.